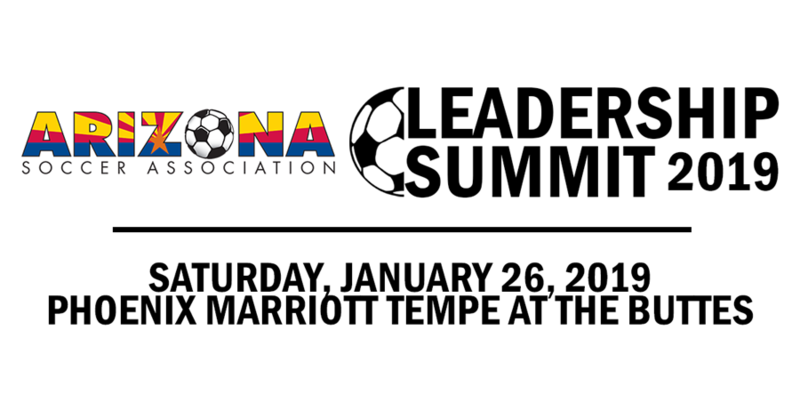 The Arizona Soccer Association (ASA) is thrilled to be able to offer the soccer community a variety of workshop sessions at the upcoming ASA Leadership Summit 2019. This one day event will be held on Saturday, January 26, 2019, as part of ASA's Annual General Meeting. The ASA Leadership Summit 2019 will be held at the Phoenix Marriott Tempe at the Buttes (2000 W Westcourt Way, Tempe).